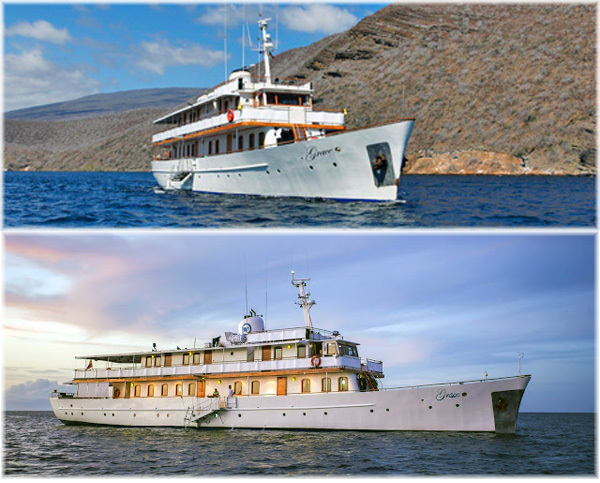 After a productive dry-dock period, we are excited to inform you that M/Y Grace will be departing the port of Guayaquil to return back to the Galapagos Islands for its first cruise. She has undergone some important cosmetic changes, making her more comfortable for our guests. If you would like to receive photography or more information on the jobs done on the yacht while at the shipyard, please do not hesitate to contact me. We will also be updating the photography on our Online Agent Center in the weeks after if returns to Galapagos.